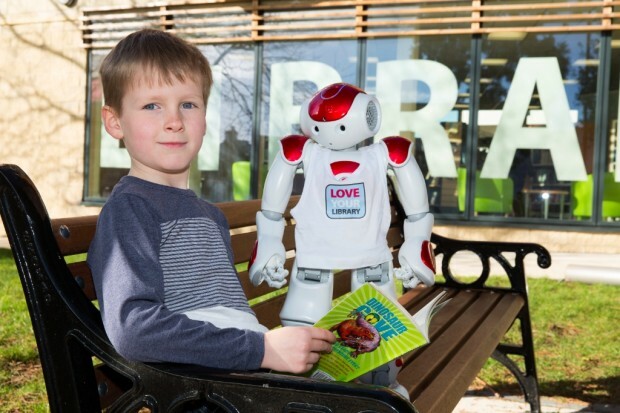 Recent campaign headlines might lead you to think that new libraries - like the giant panda - are a rarity these days, as councils continue to tighten their belts. That’s not quite the case. New libraries are springing up. Partnership working is proving to be the way forward for Warwickshire where two new libraries opened their doors this month. Both these projects were years in the making but, thanks to the collective will to work in partnership, we got there - and it was well worth the effort. Southam, an historic Warwickshire market town - where Charles I stayed before the Battle of Edgehill and where coins were minted to pay his soldiers - has a new, purpose-built library. The former library building, on a generous plot, was much-valued but getting a bit tired - so the county’s Library and Information Service seized the opportunity to work with a housing association, developers, architects, other local councils and community groups on an ambitious town-centre redevelopment plan. The site was an ideal place to build the extra care housing for older people that Southam lacked (a council priority) and presented an opportunity to reinvigorate the town centre. The recently-completed £12 million scheme includes the new Southam Library, 75 extra-care homes for older people, a restaurant and other community spaces. The main costs to the County Council were associated with the library interior, furniture, fittings and ICT. The Library & Information Service now pays a basic rent which covers the maintenance of the site. At a time of limited resources, this project has made the most of the former library site, providing brand new facilities at the heart of the community. The new library opened in January and is already proving a great success - with more visitors, increased loans, and lots of glowing compliments from local people. It was formally opened by local MP and Attorney General Jeremy Wright, on February 19. The Cabinet Minister’s attendance was touch-and-go for a while. Euro matters threatened to intervene and, in the end, he arrived straight from Washington. Amongst the other VIP guests was NAO - a humanoid robot who works with the County Council’s ICT service, inspiring schoolchildren across Warwickshire. The news story and a short clip is available online. The official opening provided an opportunity to remind decision-makers and influencers of the important role libraries play in the community - and how they are changing to meet modern agendas. Alcester is another Warwickshire market town with a long history - dating back to Roman times. Alcester Library has just moved into Globe House - a disused district council building converted to accommodate the town’s library, integrated Roman museum and a range of services, including CAB and Town Council, all under one roof. The County Council used proceeds from the sale of the former Alcester Library site to redesign Globe House, for which it took on a 99-year lease. The local ward County Councillor described the opening as “the culmination of five years of work negotiating, re-structuring, re-organising, financing and pooling public support.” Other Councillors have praised the project as “a wonderful community asset’ providing the local community with “a vibrant hub of culture and learning”. A case study was prepared on the Alcester project to illustrate the Libraries Taskforce first toolkit. Alcester and Southam are not just refurbishments but totally new libraries. They are not large central libraries either. In Warwickshire, we are feeling the pinch, like everyone else, but we continue to invest in our local communities - providing customers with the convenience of multiple services in one location. We believe these partner projects will prove more sustainable in the long term - enabling different services to maintain a strong local presence by sharing costs and safeguarding their future. 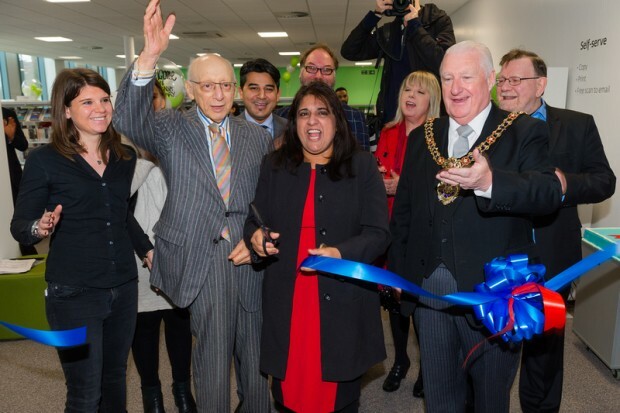 Manchester opened its third co-located and integrated library and leisure centre on Saturday 20 February at an event attended by Sir Gerard Kaufman MP, Lord Mayor Paul Murphy and Executive Member, Cllr Rosa Battle. I had the pleasure of being MC at the opening ceremony, where a number of speakers, including members of the local community, celebrated the new facility. We then launched a weekend of free activity in the centre to promote this fabulous £9.4m development on the A6, right in the heart of the district centre. The library is housed at the front of the facility and is larger, more attractive and spacious than the old Carnegie library which it replaces. The stunning glass frontage, in line with Manchester’s library strategy, allows passers-by to see what is on offer within the library space. The new library boasts 20 state of the art PCs, free wifi and thousands and thousands of new books. A programme of events is planned including “Treasures on Tour” which sees some of the rare books and special collections being released from the vaults of Central Library to allow local residents to see these gems. The library is managed by Manchester Libraries while the leisure centre is managed by Greenwich Leisure Limited (GLL). Thanks to the shared reception desk and the use of customer self-service printing and RFID, the library can be open the full opening hours of the centre – currently 90 hours per week, a significant increase from the previous opening hours. One of the busiest parts of the library on Saturday was the very attractive children’s library which was full of tots and young children, embracing the joy of reading with their parents before taking a dip in one of the two new swimming pools (minus the books of course). 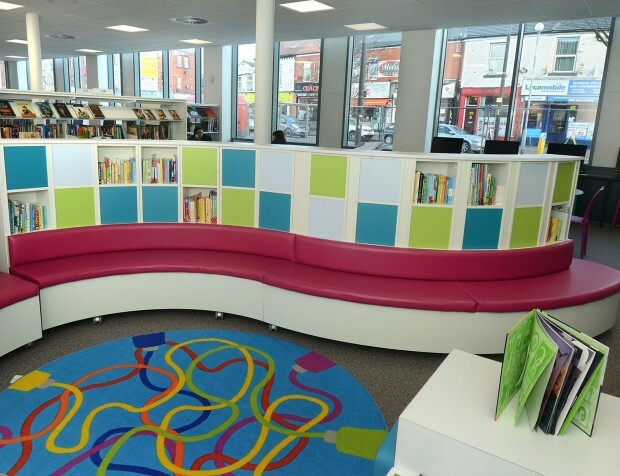 This is the third new library to open in the last three years in a leisure centre, the other two being Abraham Moss and Hulme High Street which are part of a £1m programme to provide new, larger and more attractive libraries in Manchester. Worcestershire have 2 new libraries opening this year and opened 2 last year. It would be great to see these features too. Thanks for that news Nicki - can you tell us more? I love seeing new libraries open, although sometimes it's hard to tell which are co-located replacements for previously stand-alone libraries. Sometimes these co-locations, as the case seems to be with Arcadia above could be superior to the original. 3.Brent – Willesden Green Library reopens after major rebuilding. 6.East Sussex – Official opening of Newhaven Library (opened in March). 13.Nottinghamshire – Bingham Library £720k refurbishment inc. moving in of children’s centre. £300k improvements to Arnold Library completed inc. new books, gift shop, café and study section. 15.Renfrewshire – Johnstone – ” creates a new model for the delivery of community services with the public library, theatre, marriage suite, conference room and café sitting alongside staff from the council’s housing and social services departments, AdviceWorks, Police Scotland and MacMillan Cancer Support. In this respect it is an extraordinary building inside and out.” (May 2015). 18.South Tyneside – “The Word” new library/digital centre in South Shields to be built. 21.Wakefield – Sandal Library refurbished in association with the Alzheimer’s Society (early 2015). See http://www.publiclibrariesnews.com/about-public-libraries-news/new-and-refurbished-libraries-by-authority for the full list going back to 2011. It also links to reports for each one.